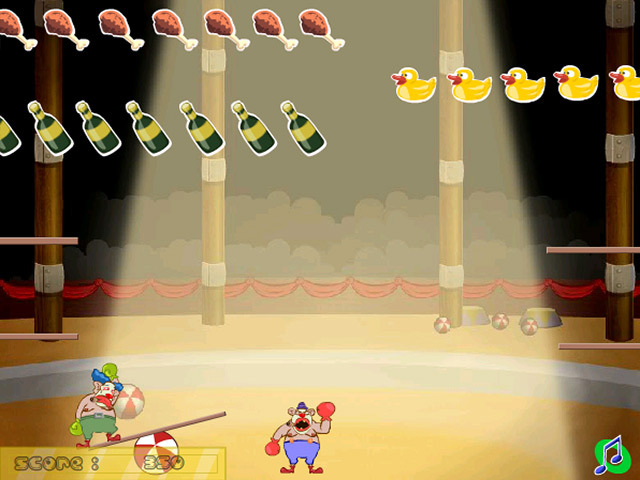 Flabby, out-of-practice clowns Popo & Bobo can`t get their circus act together. 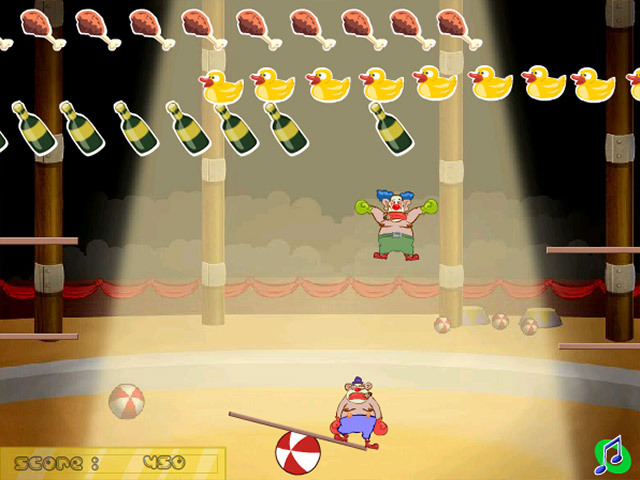 Help them shape up and bounce away obstacles.Help 2 flabby clowns polish their act.Flabby, out-of-practice clowns Popo & Bobo can`t get their circus act together. Help them shape up and bounce away obstacles in this tongue-in-cheek online game. 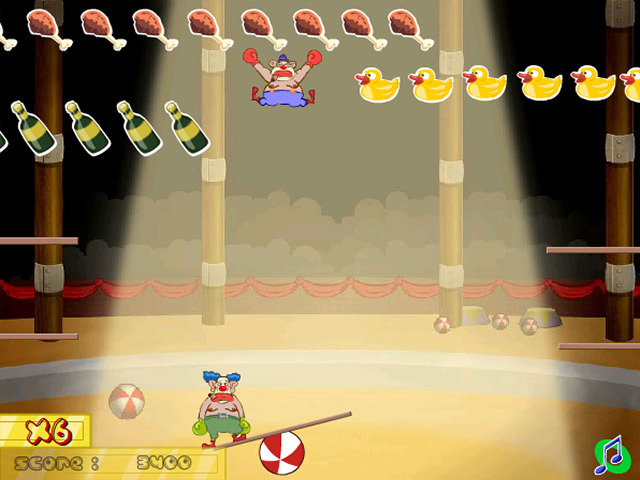 Use the mouse to move the ball and balance board as the clowns bounce. Make sure each clown hits the correct end of the balance board. 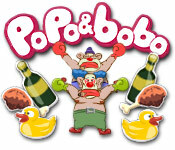 No clowning around – there`s no net to catch Popo and Bobo if they fall, and you`ll lose the game!